When you have new carpet installed in your home, it is a large investment. You want to protect it and care for it in a way that will ensure that the carpet will last several years before you feel the need to purchase new again. There are several steps you can take that will extend the life of your carpet. 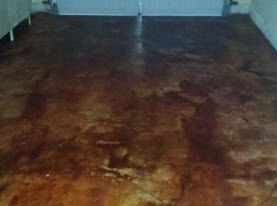 Agape Carpet Color Restoration is here to share tips to help keep your carpet like new. There is a decent amount of debris that accumulates on the bottom of your shoes. You may not even realize the amount of dirt and other substances that are transferred from the bottom of your shoes to your carpet. Having a no shoes policy in your home will help you limit the amount of dirt and dust that accumulates in the fibers of your carpet and this will extend the life of your carpet. Fine dust and dirt work to break down your carpet fibers and cause damage over time. 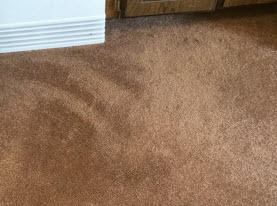 Avoiding as much of this dirt will do wonders for extending the life of your carpet. Don’t discount the value of vacuuming your carpet. This should be done more frequently than most people think. You should be vacuuming your carpet at least once a week, twice if possible. Use a quality vacuum that has the ability to get rid of particles that are making their way into your carpet fibers. You should also vacuum in different directions to effectively clean the carpet. No matter how diligent you are in protecting your carpet, spills and accidents are going to happen. The trick to keeping your carpet like new, is cleaning up spills as soon as you see them. The longer they are left unattended, the deeper they seep into the fibers of your carpet. With some substances, this can make it very difficult to remove later. When your furniture is left in the safe spot for long periods of time, certain traffic patterns start to appear on your carpet. When you move your furniture around, you will naturally be switching up the way people walk through the room. This will help you carpet wear evenly. Even when you are diligent in cleaning up spills right away and vacuuming regularly, there is nothing that will clean your carpet more thoroughly than a professional. The carpet cleaning professionals at Agape Carpet Color Restoration will help you maintain your carpet’s beauty and extend its life with our professional carpet cleaning services. Our industrial strength equipment will remove even the finest dust from deep within your carpet fibers. Our friendly staff will work with your schedule to clean your carpet when it is most convenient for you. 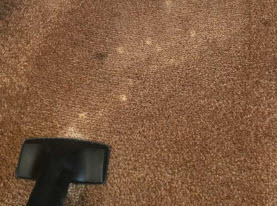 And if you have stubborn stains such as bleach spills that can’t be treated with professional carpet cleaning, we can make them disappear with our expert carpet dyeing services. 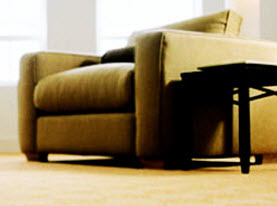 Call us today to schedule your carpet cleaning with one of our trusted technicians. Health Risks; Can Old Dirty Carpet Make You Sick & Cause Respiratory Problems in Edmond, OK? Benefits of Hiring Carpet Dye Contractors in Kansas City, KS & Why Dyeing is Better than Replacement!